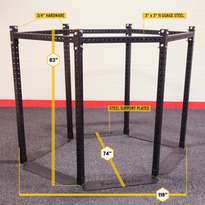 The Body-Solid Hexagon Pro System is perfect for gyms, schools, military, police, fire, studios and other commercial and vertical market applications. The Body-Solid Hexagon System is perfect for fitness enthusiasts looking to get the most current exercise trends in the comfort of their home. Both versions are expandable allowing you to bolt two or more units together, now or down the road. This level of customization ensures you can outfit the Hexagon System to your specific facility needs. NEXT, choose the stations right for you. 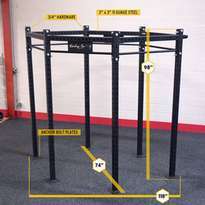 Both the HEXAGON and HEXAGONPRO are modular training systems that fit any combination of up to twenty of the 23 available stations. Mix and match to create the perfect fit for your facility needs.